Identity (the Self) is an intersection of “what” and “who.” The fact we inhabit a unique, distinct, incrementally changing body, mostly answers the “what” part of the question. We can appreciate this when looking at photos of ourselves at successive stages of life. The “who” part—our memories, dispositions, aspirations, and all the revisable, private and public, autobiographical stories we construct about ourselves—is more difficult to pin down. It seems that we construe who we are. Our waking experience is anticipatory. We distill fragments of past memories and imagine what's next? The first of these stunning photographs of four sisters was taken in 1975. Art photographer, Nicholas Nixon continued to take their portraits, always in black and white, annually for the next forty years! The second portrait shown here was taken in 2014. The series is archived in full in Forty Portraits in Forty Years, a 2014 New York Times Magazine article by Susan Minot. Nicholas Nixon is represented by the Nicholas Nixon/Fraenkel Gallery, San Francisco and the Pace/MacGill Gallery, New York. — Macintyre, Alisdair (1984) After Virtue: A Study in Moral Theory. Second Edition. Notre Dame, Indiana. University of Notre Dame Press. The Ship of Theseus is a famous philosophical thought experiment. The ancient historian, Plutarch asked whether a ship that had been restored over a period of time, by replacing every single plank and mast, remained the same ship. The idea has some bearing on how we think about embodiment and the permanence of identity. However, the Ship of Theseus problem returns when we note that the hippocampus is critical for long-term and spatial memory. Also, zooming in further to the sub-cellular level—all cells are constantly recycling worn out macromolecules and organelles. Reference: Retrospective Birth Dating of Cells in Humans. Spalding et al. Cell: 122, 133-143, 15 July 2005. The reliability of Memory usually correlates directly with the vividness of the remembered experience and its nearness in time. This is not always the case. Our olfactory sense, at times, can appear to be a direct, primal, involuntary conduit to episodic memory. In literature, Proust's protagonist is instantly transported to a realm full of nostalgic sentiment and poetic detail of childhood preoccupations by the taste of a single crumb of madeleine cake soaked in lime-flavored tea. From Stéphane Heuet's graphic novel version of Marcel Proust's masterwork In Search of Lost Time: Swann's Way. When from a long-distant past nothing subsists, after the people are dead, after the things are broken and scattered, still, alone, more fragile, but with more vitality, more unsubstantial, more persistent, more faithful, the smell and taste of things remain poised a long time, like souls, ready to remind us, waiting and hoping for their moment, amid the ruins of all the rest; and bear unfaltering, in the tiny and almost impalpable drop of their essence, the vast structure of recollection. — Marcel Proust (1913): À la recherche du temps perdu. In Search of Lost Time (alternative translation: Remembrance of Things Past). Vol I: Swann's Way. In the Allegory of the Cave: Truman Show unit, I mentioned that the class had a chance to see the Memento movie. Before tapping student collective memories and, no doubt, divergent understandings of this enigmatic movie, spend some time with the introductory material on this page. Ask student volunteers to read aloud the existential introduction, Macintyre and Proust quotes, and the Ship of Theseus paragraph. This should generate some lively, general philosophical discussion about Identity and Memory. Students should see the Memento trailer and then find a compatible partner to discuss the following questions. This activity will morph into a graded written assignment with a twist. Students are given one week to produce a single, collaborative written response to the questions. They will be awarded the same grade. This, of course, echoes the assessment scenario for the formal TOK presentation. Most students will choose to revisit the movie in the following days their own time. Printable pdf. of the questions. 1. Why, at the very beginning of the movie do we observe a Polaroid photograph fading instead of developing? Memory’s not perfect. It’s not even that good. Ask the police, eyewitness testimony is unreliable. The cops don’t catch a killer by sitting around remembering stuff. They collect facts, make notes, draw conclusions. Facts, not memories: that’s how you investigate. I know, it’s what I used to do. Memory can change the shape of a room or the color of a car. It’s an interpretation, not a record. Memories can be changed or distorted and they’re irrelevant if you have the facts. Identify at least three techniques Lenny uses in the movie as a surrogate memory to compensate for his "condition"? Do they help or hinder his quest for "vengeance"? Why? 3. The way the Memento unfolds in time, and ends with aspects unresolved, stresses, confuses and alienates the viewer. To what extent does our own experience watching the movie effectively mirror Lenny's condition? 4. To what extent is a functional memory for the construal of experience necessary to maintain a sense of identity? In Memento is the Lenny character a non-person? 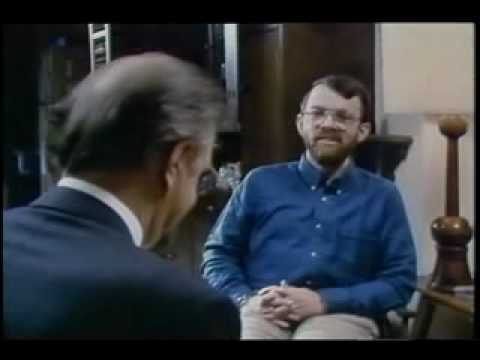 Dr. Endel Tulving interviewing amnesic patient Kent Cochrane, who was involved in a motorcycle accident that left him with permanent severe amnesia. The outstanding fact about K.C. 's mental make-up is his utter inability to remember any events, circumstances, or situations from his own life. His episodic amnesia covers his whole life, from birth to the present. The only exception is the experiences that, at any time, he has had in the last minute or two… The impairment does not encompass only the past; it also extends to the future. Thus, when asked, he cannot tell the questioner what he is going to do later on that day, or the day after, or at any time in the rest of his life. He cannot imagine his future any more than he can remember his past. This aspect of the syndrome he presents suggests that the sense of time with which autonoetic consciousness works covers not only the past but also the future... Mental time travel involves awareness not only of what has been but also of what may come. What would be the consequences of total recall? Not all experiential events are of equal weight. Our conscious experience generates mountains of chaff. We know that memory is necessarily selective. How do we distinguish between what is important and what is trivial? The following extract from the Borges short story Funes the Memorius explores the dire consequences of having total recall. The tale is really an ad absurdum thought experiment, rather like his short piece On Exactitude in Science that is featured at the beginning of this TOK course in The Map is Not the Territory. I suspect… that he was not very capable of thought. To think is to forget a difference, to generalize, to abstract. In the overly replete world of Funes there were nothing but details. Extract from the surrealist short story Funes the Memorious from the 1941 collection Ficciones by Jorge Luis Borges. Janus headdress of the Boki from Nigeria. (19th–20th century) African collection. The Met, New York. A Janus-like deity has arisen in many cultures. There are two faces. One looks to the future, the other, to the past. Janus can represent beginnings and endings, rites of passage, gateways, transitions, duality, and the passage of time. ARE IMAGINING AND REMEMBERING ALMOST THE SAME? The Imagination (with constraints) and living in the subjunctive unit ended with this provocative question. The premises that go with it are worth revisiting after working through this unit. Printable pdf. of the Time Machine in the Brain texts. 1.Imagination seems inextricable from memory. Compelling evidence for this comes from brain-damaged, amnesiac patients who can no sooner relate what they will do in the future, than recall what happened just a few minutes previously. in the past Such patients appear fully aware, articulate, and quite cheerful in the present moment. 2. Our lived experience feels anticipatory. We are always primed for action, always on a forward cognitive trajectory. We project a fictive “what if?” from a highly edited “thus far.” As a consequence, the past and the future always seem somehow to be right there with us, constantly updated and reinvented on the fly. 3. It seems that to a large degree we live in the subjunctive tense! Salvador Dalí (1931) The Persistence of Memory. Oil on canvas. Museum of Modern Art, New York.